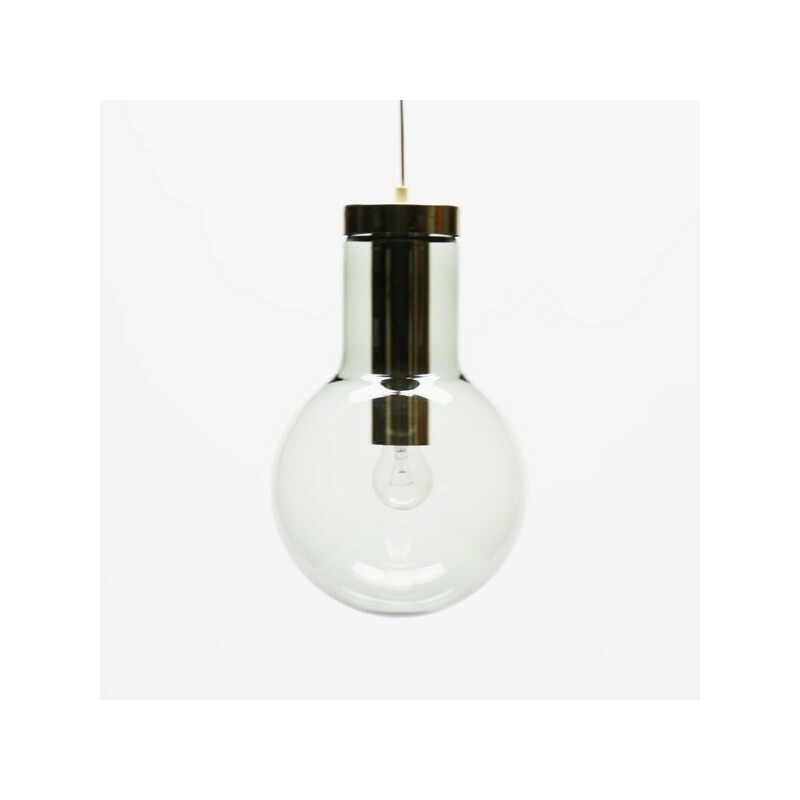 Hanging lamp from the Dutch brand Raak Amsterdam. 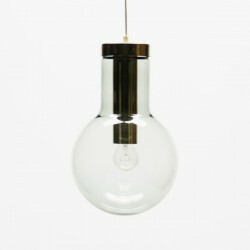 The lamp is made of light smoked-colored glass and the metal is brass colored. The dimension is 35 cm in height and 20 cm in diameter.